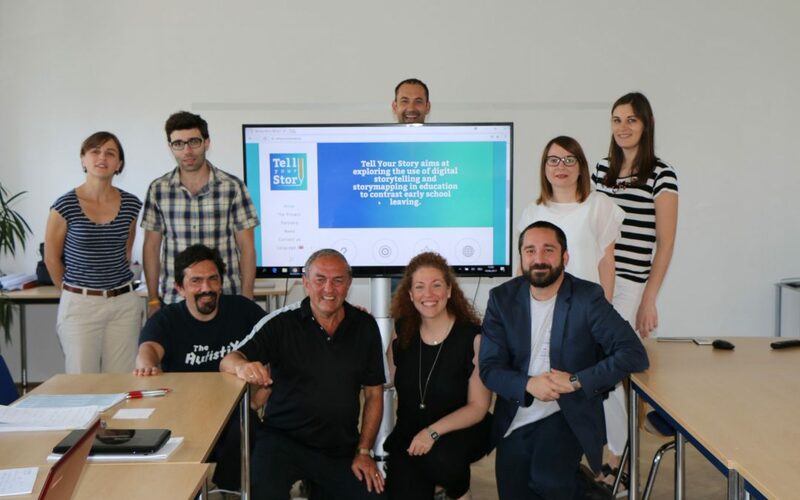 The second transnational meeting of project Tell your story took place in Vienna, Austria on 14– 15 June 2017 and saw the participation of all six partner organizations: die Berater (that hosted the meeting, Austria), Pistes Solidaires (Project Coordinator, France), RIS Dvorec Rakičan (Slovenia), Rinova Limited (United Kingdom), EUROGEO VZW (Belgium) and CESIE (Italy). The meeting has given to the partners, the chance to update each other on the project first results and reiterate the importance of storytelling in fight against early school leaving. Specifically, the first Intellectual Output- Telling digital stories to fight against early-school leaving, has been analysed. It summarizes the present state of research on the potential for story-telling and digital story mapping to engage young people at risk of drop out. Then the partnership carefully went through the next activities to be implemented, specifically regarding the development of the other Intellectual Outputs: How to tell a life story & Media production skills (Intellectual Output 2&3). The next meeting is a capacity building seminar scheduled for September 18 – 22, 2017 in Palermo (Italy), during which 18 NEETs from each partner organization will share they life stories.